Dr. River Michelet is more than meets the eye. After a family tragedy, he relocated to South Bend, Indiana and leaves the criminal psychology field to work with teenage boys who suffer from psychological disorders. Despite the difficult transition, River’s apprehensions quickly vanish as he realizes he can be an asset to these young men, but at what cost? While a part of him excels, another aspect of him unravels. 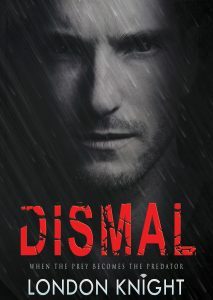 Secrets, lies, neglect, and hatred lead to him tapping into the darkness within and unleashing his inner monster. I enjoy writing about the underdog being victorious. I enjoy delving deep into character development. I thought of a hero and as I wrote the story, he grew and morphed into more than I even imagined. An unfamiliar noise had caught his attention — the sound of scratching and clawing against a wall. He scanned the space around him, but nothing seemed out of place. All he could hear was the low hum of the refrigerator, the slight creaking of his feet against the wood of the floorboards, and his own breathing. As he switched on the kettle, prepared to dismiss this as a figment of his imagination, he heard the noise once again, and immediately glared at the front door. A small shadow appeared at the other side of the threshold –an unholy blackness, the kind that gave him palpitations. Taking careful steps towards the front door, he watched as the shadow stretched, grew, then shrank down, like some slinky manipulated by invisible hands. The scratching noise intensified, then paused, then started up again, even more aggressively as he neared. In an instant, it was gone. His eyes flashed in the direction of his kitchen. I should get a knife … or run upstairs and get my gun. I know how to shoot the damn thing. Wait a minute; what the hell is wrong with me? It's probably nothing. I'm losing my mind. The wind had been kicking up quite a bit; in fact, a wind advisory was in session. Yes, it must've been the air whistling and moving about, causing a ruckus against his door. Perhaps a broken twig that had drifted over from some nearby brush, or an old tin can batting against the doorframe. "You're being stupid," he mumbled to himself. "There's no boogie man. There's a plausible explanation for this." "All right, who is it?"